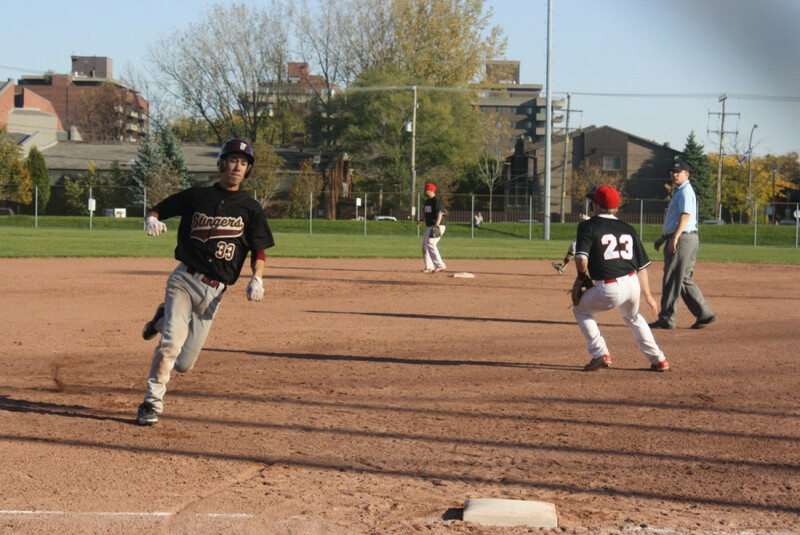 The Stingers baseball club is about to start its 20th season with a leader who has given much to the team. “Concordia started baseball in 1995 and I’ve been the head coach ever since, so they haven’t smartened up and fired me yet,” said head coach Howie Schwartz. Since 2007, the team has won four conference titles and participated in three nationals finals, most recently a finals loss in 2013 and winning one title in 2009. The makeup of this year’s Stingers team will look similar to its 2013 edition, with only one departure. Pitcher Dan Connerty will no longer be on the team, as he will be playing NCAA Division II ball in Michigan. One notable rookie, who seems to have an inside track on a starting spot, is newcomer Matthew Litwin, who will take over at shortstop, while pitcher/infielder/outfielder Jonathan Raftus will see time at centre field this year. With a contending core intact, the team is primed for another successful run at a championship. “The atmosphere, it’s intense,” said pitcher Brandon Berkovits. “Everybody wants to win, but we’re all just having fun. [This is a] great bunch of guys and, talent-wise, it’s probably one of the best teams I’ve played on. “You can rely on everybody. Everybody knows what they’re doing, what their role is. I pitch for the team and if someone gets a hit or something, I know my defense is there behind me and they’ll do the job,” continued Berkovits. The Stingers will start the season with a doubleheader at Carleton on Sept. 6 at noon.